There is not only one way to think of a problem; you can look at it from an emotional, intuitive, and creative or risk management viewpoint. For example, people who are optimistic by nature, tend to not always consider potential downsides. Similarly, individuals who have a risk-averse outlook, might not be able to realize that new opportunities emerge. So, what is our instinctive approach to decision making? By considering things from a different perspective may help you find new solution to a complex situation or challenge. 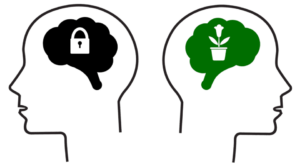 The ‘Six Thinking Hats’ model, introduced thirty years ago by Dr. Edward de Bono, a prominent English psychologist for developing ‘Lateral thinking’ techniques, suggests examining a situation from different viewpoints to get a more rounded approach. 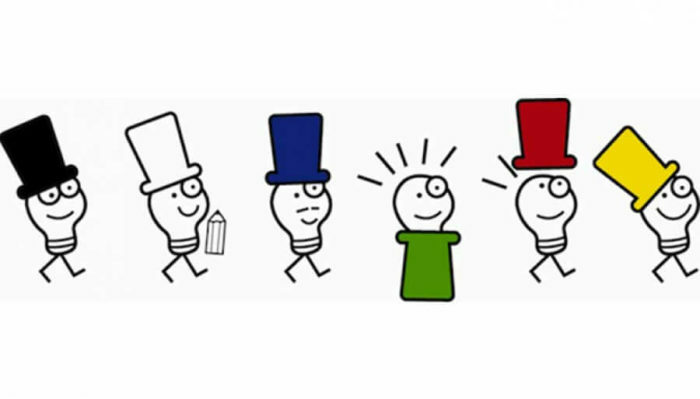 The concept outlines six hats of a different colour that you can put on when a problem occurs. Each colour encompasses different strengths and limitations. By ‘wearing’ a different hat each time, an individual is able to break out of his/her habitual approach and view other perspectives. The Six Thinking Hats model is also commonly known as a tool for group discussion and critical thinking. The goal is to assign each member of a team a different, one-dimensional “Thinking Hat” for the duration of the problem solving or brainstorming session. The white hat is about data and information. It is used to record information that is currently available and to identify further information that may be needed. Its key objective is to bring forth a set of logical, but neutral solutions that will help stimulate further thinking and exploration. What information do we have/ is missing? What are the gaps/ weaknesses? The green hat represents creative thinking and the generation of new ideas. It should not be controlled by rules or limitations. In particular, it is a creative thinking hat concerned with proposals, suggestions, new ideas, new alternatives, new solutions and inventions. What could be the alternatives? If success was guaranteed, what steps would I take? The yellow hat looks for benefits and encourages a positive way of thinking even for people who are always critical. Its primary goal is to move through the obstacles to a solution in a realistic and positive way, therefore, it must avoid caught up in pessimistic thoughts. 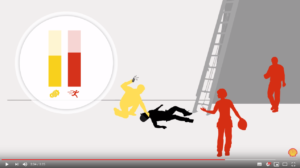 What is the best –case scenario? The black hat relates to caution and is used for critical judgement. Namely, it is the hat of critical thinking that can prevent us from making mistakes. As such, it is easy to overuse this hat. The black hat must, however, avoid bringing to mind any harmful emotions that may magnify the problem. What are the risks emerging from each option? Which solution will not work? The red hat is associated with feeling, intuition and emotion. It allows people to put forward feelings without justification or prejudice. The red hat’s primary objective is to intuitively bring to mind proposals and plans for action that are based on personal feelings and hunches. What do you feel about the situation? How do you feel about the available options? What don’t you like about it? What does your intuition tell you? The blue hat is about the process of thinking. This hat asks for summaries, conclusions and decisions. It actually manages the thinking process, allowing for better synergy between the thought patterns and habits of the other thinking hats. What sort of thinking is needed? This role-playing model may be used in a structured sequence during a brainstorming meeting with six team members working together. In this regard, problems can be approached from six different perspectives leading to rational and practical solutions. All in all, this approach tries to assist in decision making process by teaching the brain to look at a problem from a variety of angles. The purpose is to open up the mind and stop people from acting defensively. When a problem makes its appearance, one should consider whether he/she wears a hat at most times and why or when the situation seems as a dead end to try to put on the least preferred hat. What is more, when we are faced with decision, we can think more effectively by concentrating on only one type of thinking – one hat - at a time.